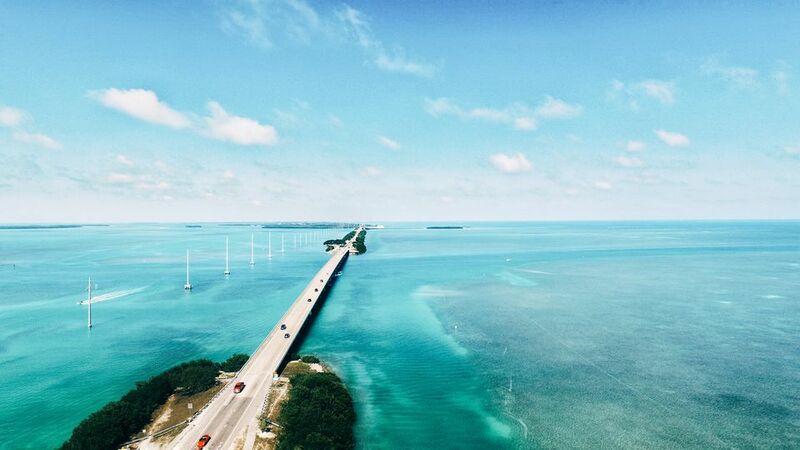 The 150-mile, 3.5-hour drive from Miami to Key West is something that every traveler should experience at least once, but there's no need to jet straight through to Mallory Square and mile marker zero when there's so much to see along the way. Here are some of the best stops to make as you follow the ​Overseas Highway through the Keys, listed in the order that you will encounter them on your drive south. If you like diving -- and for many people, snorkeling and scuba are the main attractions on a Florida Keys visit -- then you'll love the History of Diving Museum. Exhibits include antiques and artifacts relating the story of undersea exploration -- including vintage diving helmets -- a display on the 200-year history of SCUBA, and a special focus on South Florida underwater treasure hunting. This is located at mile marker 83 (Bayside). Located at Overseas Highway mile marker 93.6 (Bayside) in Tavernier, the Florida Keys Wild Bird Center is dedicated to rehabilitating injured birds and returning them to the wild. Visitors can visit the 'patients' along the center's boardwalk and in the nearby waterways. Sort of a down-home Sea World, this marine animal park offers daily performances (such as dolphin, sea lion, and parrot shows) as well as an opportunity to swim with dolphins, sea lions, and stingrays. General admission covers the shows and a bottomless boat ride; "swim-with" activities are extra, as is the four-hour snorkel adventure tour. This is located at mile marker 84.5 (Oceanside). Funky, 'Old Keys' style roadside stop features the Hungry Tarpon Restaurant, a flea-market, occasional art shows and other events, dive and fishing charters, tours, and boat rentals, and the opportunity (for a small fee) to feed some wild tarpon off the marina dock. This is located at mile marker 77.5, Bayside. Nonprofit center offers dolphin encounters as well as classes on becoming a dolphin trainer or researcher. Interact with a resident population of bottlenose dolphins and California sea lions. This is located at mile marker 59 (Bayside). Visitors to this nonprofit museum and nature center can learn about Keys history, explore nature paths, and tour the Marathon Wild Bird Center. The historic Adderley House was built by Bahamian immigrants in 1903 and is the oldest surviving house in the Keys outside of Key West. The museum includes a children's activity center. This is located at mile marker 50 (Bayside). Guided tours introduce visitors to this working animal hospital and rehabilitation dedicated to saving sick and injured sea turtles, including loggerheads, hawksbills, green, Leatherhead, and Kemp's Ridley turtles. A highlight is the 100,000-gallon turtle tank, formerly a hotel swimming pool, where you can see turtles large and small being cared for. This is located at mile marker 48.5 (Bayside). Once a work camp for Flagler Railroad workers, Pigeon Key is located under a segment of the Old Seven Mile Bridge and can be reached by walking, biking, or taking a tram from the Marathon end of the former railroad bridge. Pay-one-price admission to the small island includes museum admission, ferry rides, and tours of the railway workers' barracks. Visitors can snorkel off the island's beaches. This is located at mile marker 47 (Bayside) beneath the Old Seven Mile Bridge. Key West is known for many things, but great beaches aren't one of them. Fortunately, some of the best beaches in the country are located relatively close by at Bahia Honda State Park. In addition to sunbathing on sandy shores, the park is popular with snorkelers and campers -- it even has vacation cabins for rent. Birding, biking, and boating are other options for visitors. This is located at mile marker 37, on Bahia Honda Key. Fee for entry is based on the number of people in party and vehicle type. About 800 diminutive Key Deer -- a stunted subspecies of white-tailed deer -- inhabit the National Key Deer Refuge on Big Pine Key, an 84,000-acre wildlife refuge that includes forest, wetlands, and other wilderness areas. Visitors can hike nature trails and observe the deer and other wildlife, including those inhabiting the Blue Hole -- a flooded former quarry -- near the park's visitor's center. This is located at mile marker 30 (Oceanside) in Big Pine Key. Key Largo-based Hover Tour offers a unique way to explore Blackwater Sound and Lake Surprise -- riding on a cushion of air. If you’re not in the Marines (who use hovercraft to land troops on beaches), this is a rare chance to ride one of these unique land/sea vehicles while enjoying the natural beauty of the Upper Keys. Cruising at up to 32 knots, the 20-passenger Lady Hawke hovercraft can also get into the shallow area where boats dare not venture, getting you up close to the reeds and residents of the island shoreline. Tours run anywhere from 15 minutes to two hours. Tours leave from near the Caribbean Club at Mile Marker 104. After a $60,000 renovation, the famous African Queen riverboat from the 1951 Bogart/Hepburn movie of the same name is steaming again, this time not as a movie prop but as a tour boat operating out of Key Largo. A national historic site, the 1912 river steamer has been docked in Key Largo since 1983 but only recently has started taking passengers again. The African Queen runs daily, two-hour canal cruises of Key Largo as well as dinner cruises and charters for private events.